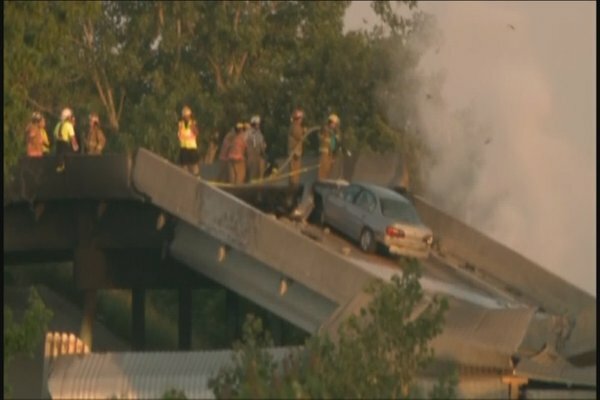 In Rockview, Missouri, seven people were injured after a massive train collision in Scott County took down an overpass. This continues the theme of bridgeway collapses and related news for the week. Officials say around 2:30 a.m. on Saturday, May 23, 2013, there was a train crash near County Road 210 and Highway M in the Rockview community. The Highway M overpass collapsed on impact. Highway M is closed in all directions from Scott City to Chaffee. Scott County Sheriff Rick Walter says a Union Pacific train t-boned a Burlington Northern train that had just made it through an intersection. The collision caused one of the trains to derail and hit a pillar under the overpass causing it to collapse. 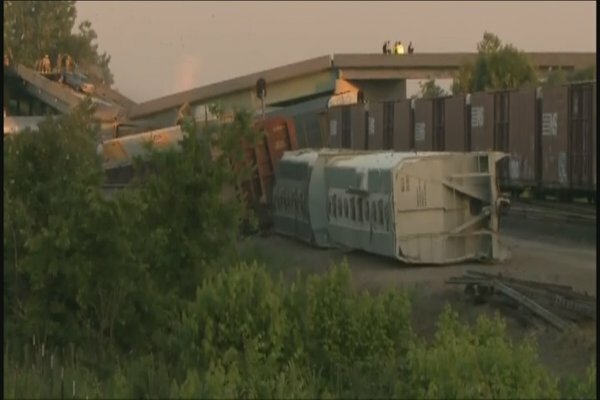 At least a dozen train cars derailed. Walter says two vehicles were on the overpass when it collapsed. Three people in one vehicle and two people in another vehicle were taken to a nearby hospital. Two people from one of the trains were also rescued and taken to a local hospital. Source. This collapse was on Highway M. The Skagit bridge collapse was on I-5. MI-5. There are news reports that one of the assailants in the British soldier hacking death may have been an MI-5 recruit. More Red Dawns in a Dark Summer? Dark Knight of Gotham: Sports Illustrated Curse?